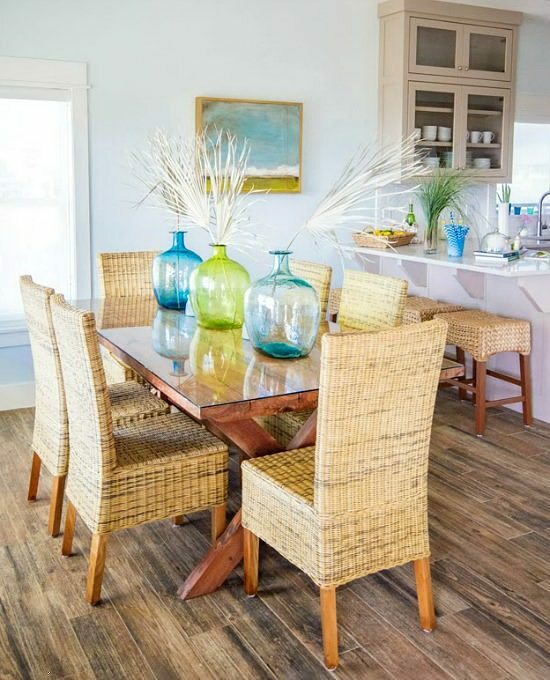 Designer Wendy Patrick brings the calmness of the ocean and the beach into a Cape Blas home with varied shades of blue and green. 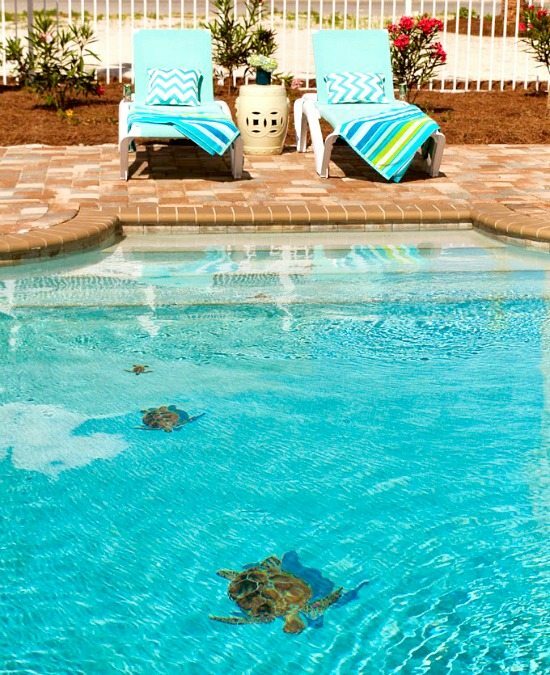 The happy home is called Turtle Tides -and has turtles swimming at the bottom of the pool! 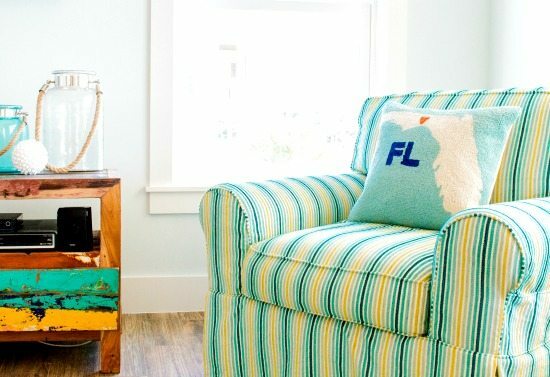 The Florida State Pillow is the perfect match for the sofa chair. The happy home pillow in the first picture can be purchased here. 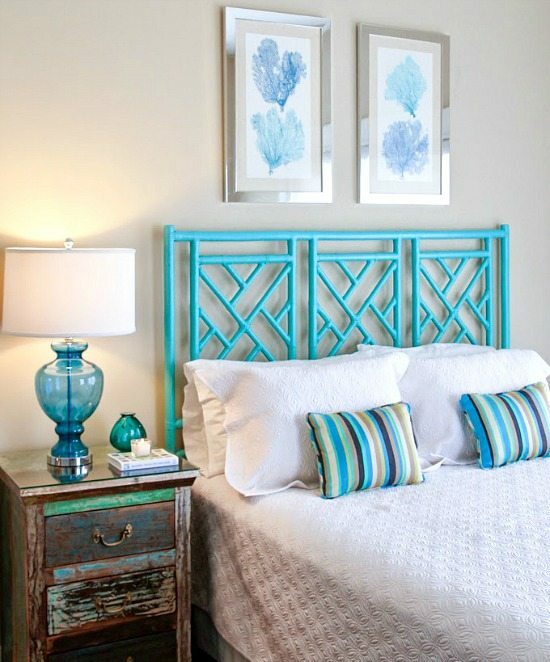 Blue and green is a gorgeous color combination. 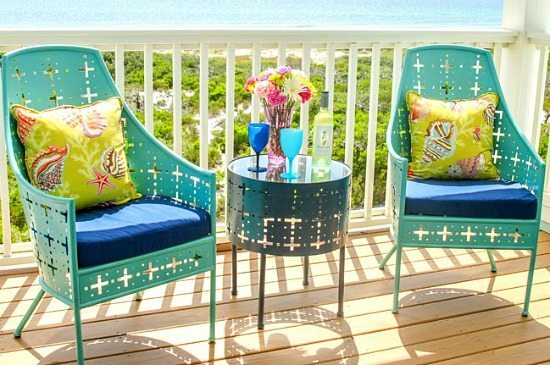 From Bright Turquoise and lime green to more muted shades. 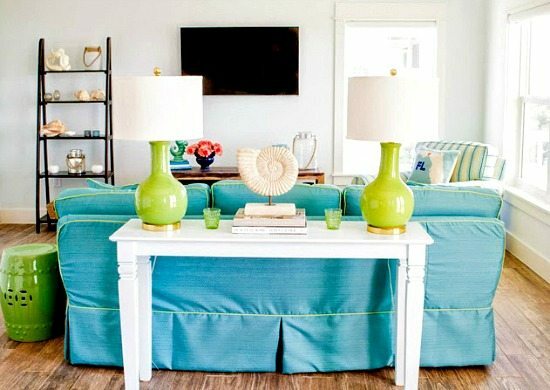 These Ocean Colors are refreshing and calming at the same time. 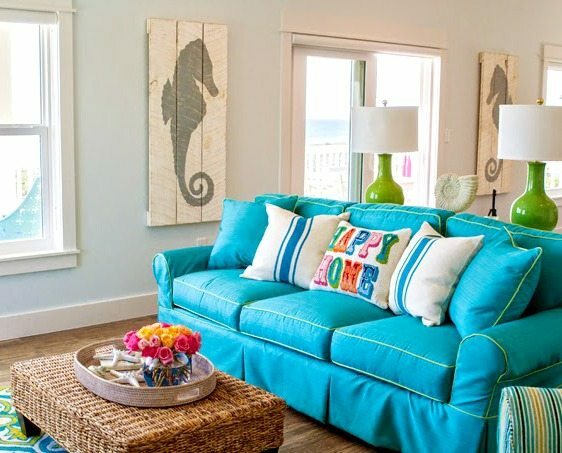 The Lee Industries sofa is covered in a Sunbrella Fabric which allows for easy living -exactly what you want in a beach home. I love the decoration chosen for the dining table. 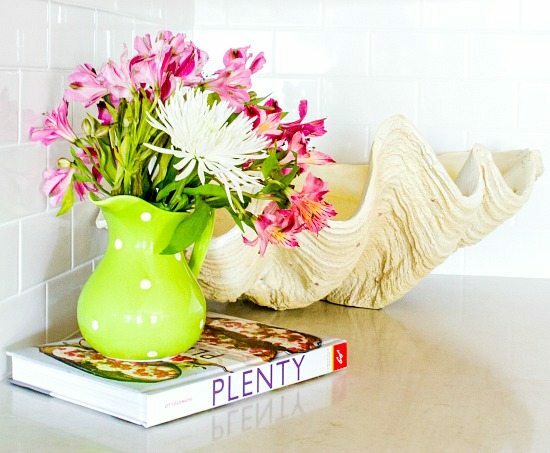 Seaglass colored glass jugs with natural palm fronds. 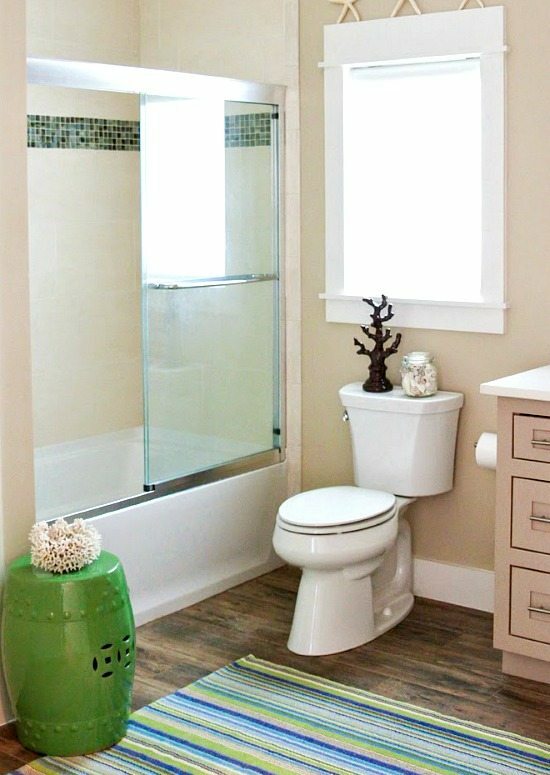 Glass in blue and green always reminds me of the sea. 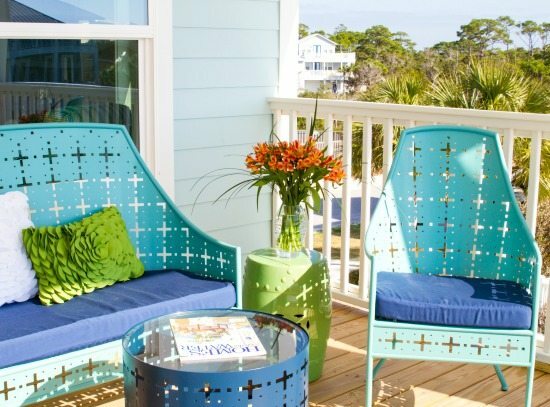 The color scheme is carried out onto the deck with blue metal furniture and more Sunbrella fabrics. And the pool is really unique with turtles swimming at the bottom. The turtle Tile Mosaics look so realistic when the water is shining from the sun! 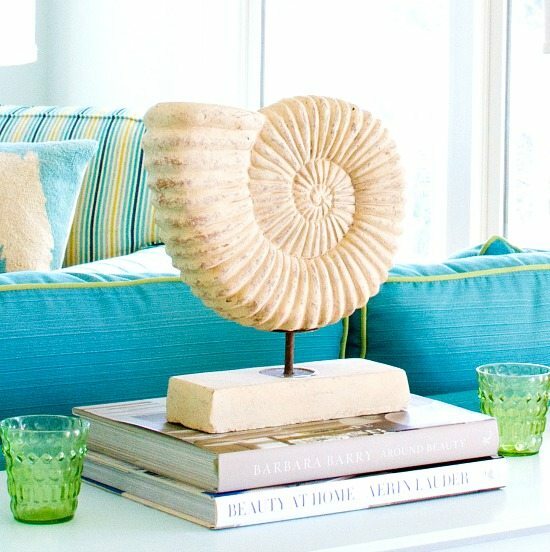 Designer Wendy Patrick creates unique coastal interiors for custom second homes and beach-front rental properties. 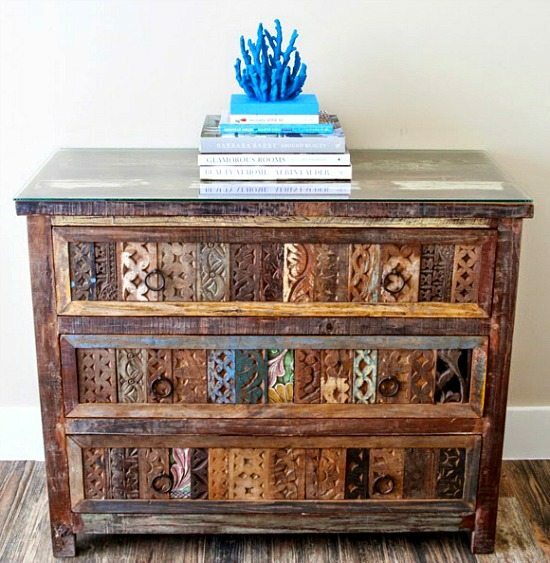 You can find Wendy’s work and lots of beach inspiration on her Pinterest Boards! 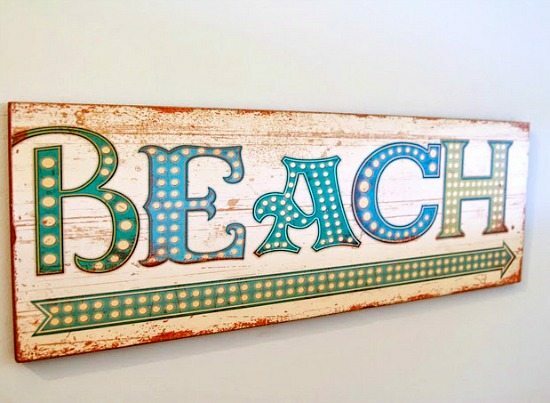 Any idea where to find the ‘Beach’ wooden sign? I absolutely love it! 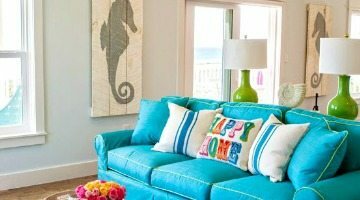 Can you please tell me the light blue paint color on the walls in the living room?